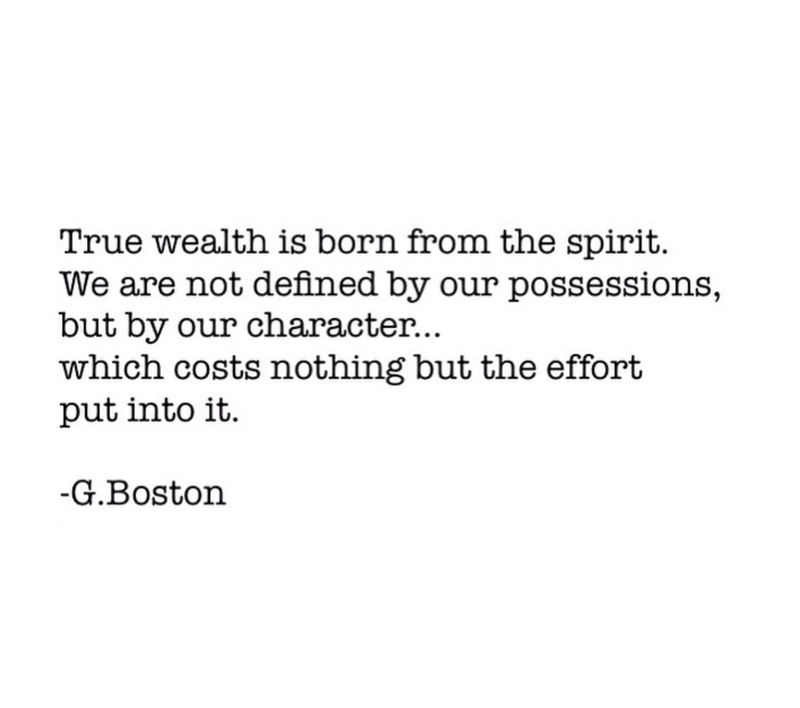 Quotes – Wealth. | musings at random. We live in a society that glorifies wealth of the material sort. It’s ingrained in the culture and broadcast in a variety of media, and it invariably flickers like a beacon in our subconcious minds. It’s quite subliminal. But wealth comes in many, many forms; true wealth doesn’t shine like a freshly waxed Lambo, or a newly minted Bulgari timepiece. True wealth comes from inside. Stay well, friends.